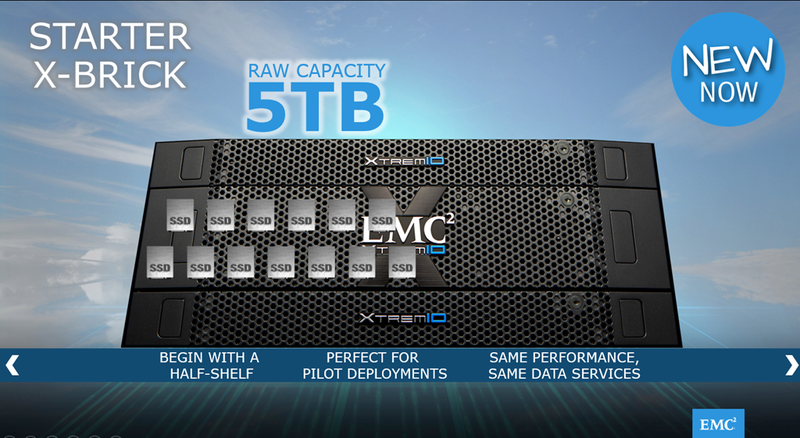 Enter the Starter X-Brick, it contains half of the raw capacity (5tb) of it’s bigger brother (10tb) and a quarter of it’s even bigger sister (20TB) X-Brick and it’s ideal for small POC’s, environments that do not need all the physical capacity like small(er) VDI deployments or smaller DB’s but the crazy part is that from a performance point of view, it perform exactly in the same manner like it’s bigger brother and sister. you can order the other half of the SSD drives and grow to a full X-Brick while doing it ONLINE and non-disruptively, TODAY. 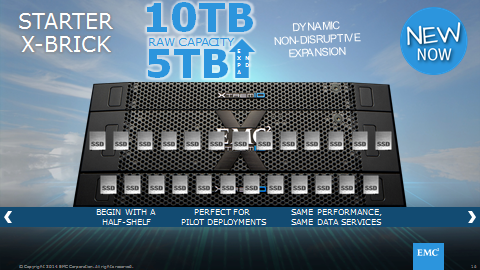 Previous Post Previous post: XtremIO 3.0–Why Scale Out matters?